3100-iSIC Communication - NexSens Technology Inc.
Communication with a 3100-iSIC is performed over the internet. A computer only needs to have an internet connection to communicate to the 3100-iSIC. A „friends list‟ can be setup on the cellular modem for security. This „friends list‟ is a list of computers that are allowed to communicate to the 3100-iSIC. 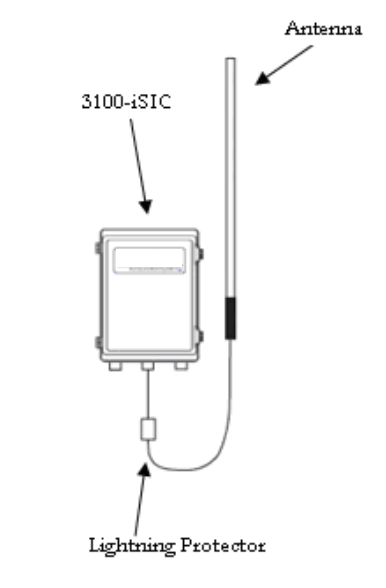 In general, the 3100iSIC comes with different kinds of modems depending on cell coverage in 5the area of interest: GSM/GPRS/EDGE, iDEN, or CDMA and others. iChart software communicates with these modems over the internet. This is called packet switch mode. Verizon and Sprint offer CDMA data service. NexTel (now part of Sprint) offers iDEN. AT&T offers EDGE (backwards compatible with GPRS or GSM) service. The charge for packet switch service is based on the amount of data transfer. The lowest cost plan is about 5MB/month; however, that is for low amounts of data transmission. Unlimited data accounts are more expensive but recommended. Unlimited data plans run for about $59.99/month for each carrier, and lower plans at cheaper prices are available depending on how much data will be transmitted. For example, a client of ours who is logging (6) parameters every (15) minutes and is interrogating every (60) minutes, is only using 2-3 MB per month. Another client who is logging (48) parameters every (1) minute uses 100-150 MB per month. Before choosing a cellular service provider, confirm that coverage is available at the site with a cell phone. NexSens applications engineers will certainly help in determining the best service for your application needs.